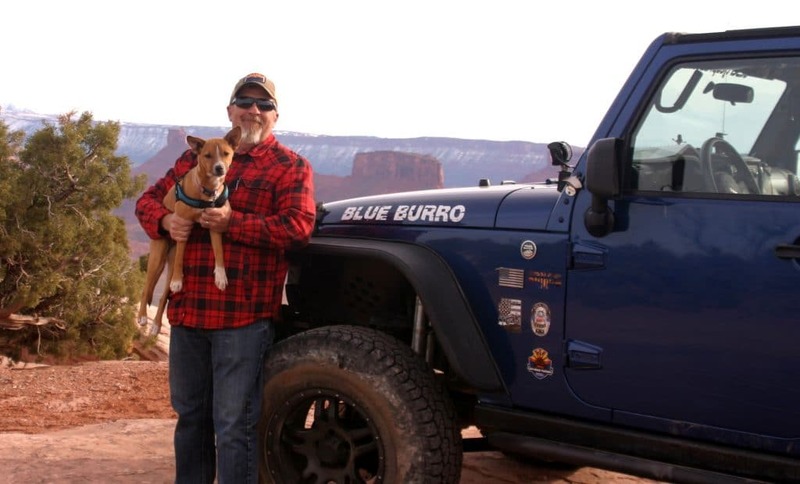 Jeff has a full size Dodge diesel truck with custom bumpers. As you can see in the videos his truck is very capable of doing this moderate trail with no real struggle at all. The trail has some rock climbs near the beginning and towards the middle and at the very end. 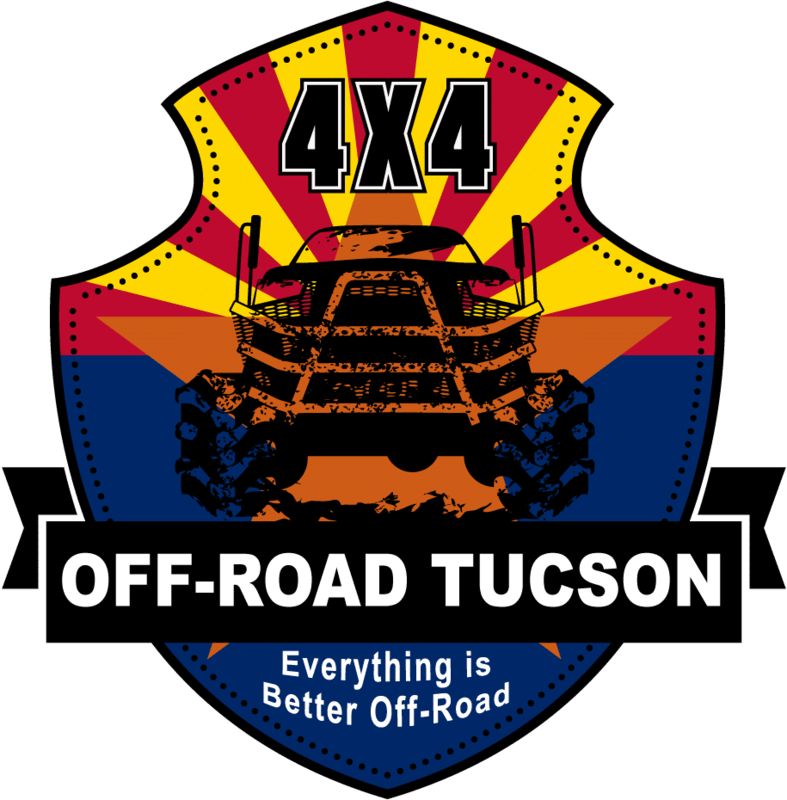 They are easily passable with a 4wd vehicle with moderate clearance. The end of the trail getting to the overlook was a bit tricky because it crosses over developed dirt roads. See our GPS file and download if you need. We did have to turn back on one wrong turn that became a dead end. Watch the signs closely. I saw the correct turn when we passed it the first time. The last 100 yards was a bit tricky climbing down to the overlook so take you time. I broke a bead loose and had to rescue a tire before we could relax and enjoy the spectacular view. 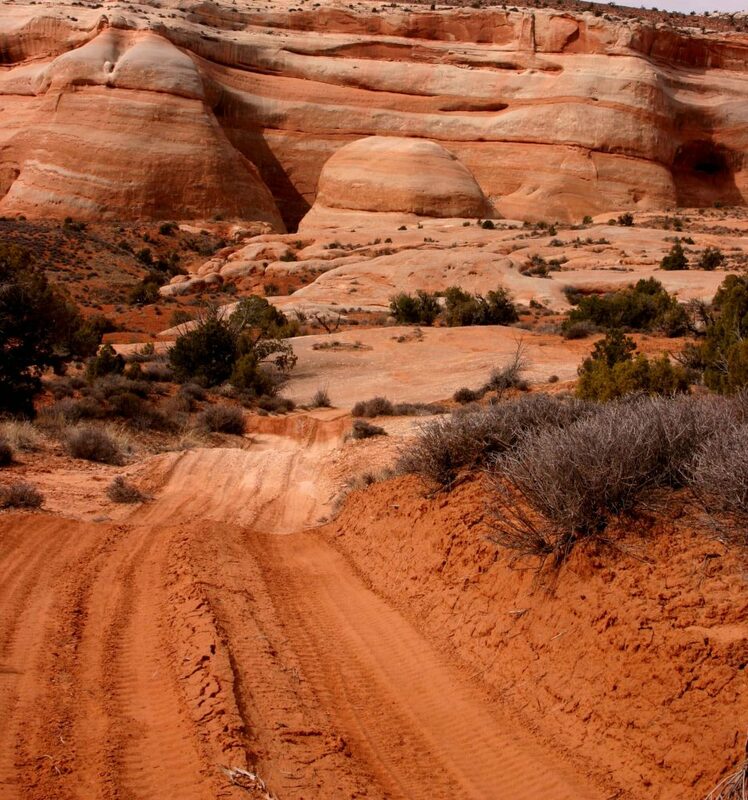 The Spectacular View – I can only think of 5 to 6 times in my life when a view was actually breathtaking and 3 of those times were on this Moab trip. This overlook view is one of the best trail and photo experiences I have ever had. It is so worth your time getting there. Morning or Evening as always are the best times for the best light. We arrived around 5pm and the light was, well look at the photos and you decide. As usual photos do not do the real thing justice. Get out there and find this place and others like it. We shortcut(time) out the back way to I-70 since it was getting dark and we didn’t want to loop back and repeat the same trail twice. 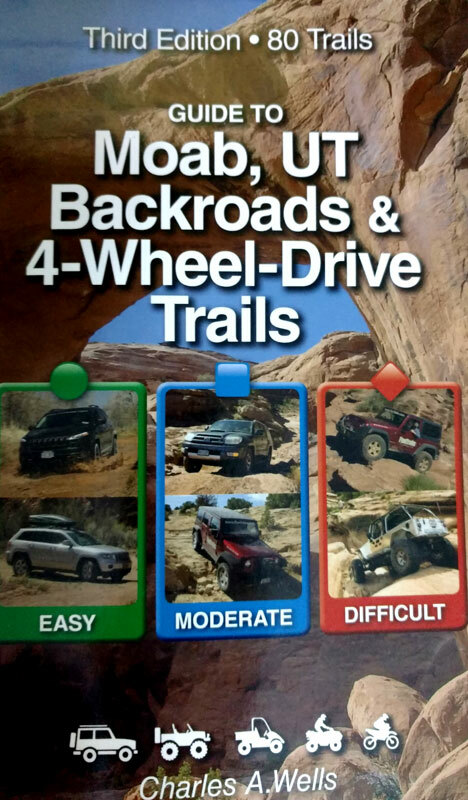 Be sure to get your copy of the Guide to Moab, UT Backroads & 4-Wheel-Drive Trails 3rd Edition It is invaluable in having accurate turn by turn directions as well as difficulty ratings for each trail.